The ginger taste is a new invention to renew your experience. 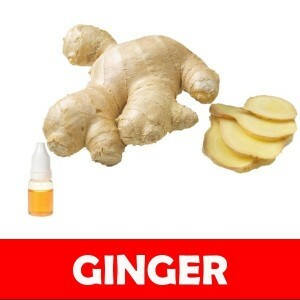 The Ginger e-juice typically tastes like real ginger. The tinge of ginger will tingle your tongue with its spicy and bitter taste. Nothing can be better than Ginger for all those who are fond of a blend of sour, bitter and spicy savour. The ginger taste is unmatched because of its supreme quality and essence. Since their inception a few years back, electronic cigarettes have been a craze among smokers. These cigarettes look very much like the traditional ones, and they also produce mist that simulates the one produced in tobacco smoking. Electronic cigarettes use small liquid reservoirs, which are often referred to as e-liquids or e-juice, and this is the substance that bears different flavours and nicotine. Depending on what you want though, you can always go for the nicotine-free e-liquids. When you smoke the e-cig, this liquid is heated and then emitted as a vapour that you can then inhale. Just like nicotine gum and smokeless tobacco, electronic ciggies can be used in just about all places. Even though it may in some cases trigger an unwanted reaction among people who don’t know how it works, the truth is they are indeed safe to use anywhere because they don’t emit the harmful second-hand smoke that is released when tobacco is used. The e-liquids can be obtained in different amounts, so whatever you buy should be based on the number of cigarettes you smoke each day. If you have been using up to a pack or more daily, you may need around 10 ml of e-juice every week. The premium e-juices are made using food grade flavourings, and the advantage of using these is that they remain safe for consumption even when smoked over extended periods. Also, regardless of the flavour you like, you can be assured of an exceptional experience since you can pick from a variety of flavours, including: Menthol, Banana, Vanilla, and Strawberry among others. It all depends on whether you like sweet, traditional or fruity flavours. Going for handmade e-juices is the best decision you can ever make because such juices are always of high quality, and they also have a unique element that will always keep you going back for more. If you go for flavours such as premium tobacco, for instance, the taste and flavour you get would be very much like what you would get from using real tobacco. The good thing is that the e-liquids are available in different package sizes, so you can always buy the small ones to try out the flavour and then move on to larger amounts when you have already found what you like. Comment : Has a very Asian-like taste. I love ginger. A little spicy.